Indoor environmental quality is a key aspect in many industry sectors, ranging from food processing to maritime transportation. The good news is that world leaders in compressor technology, like Frascold, provide a full range of compressor models that can meet the requirements of different professional usages. Over the years, Frascold has become one of the most reliable manufacturers that deliver compressors renowned for their stable performance in various applications, including mobile air conditioning and commercial refrigeration systems. Enhanced with innovative technologies, such as the inverter technology, Frascold compressors offer some outstanding solutions for numerous refrigeration and air conditioning applications. Besides being compatible with different types of refrigerants, including HFO, HCFC, HFC, HC, CO2, and NH3, the Frascold reciprocating and screw compressors are being specifically optimized to ensure energy-efficient operation, even under the most demanding conditions. Furthermore, Frascold’s continuous development program allows them to offer some of the most advanced ranges of products that meet the latest industry standards. Nowadays, Frascold compressors are used in thousands of complex applications around the world. Although we offer a comprehensive range of new compressors, parts, and accessories from Frascold, we cannot stress enough the importance of choosing a remanufactured compressor when possible. Delivering a more environmentally friendly alternative, a remanufactured compressor can better meet the requirements of a company focusing on savings, waste reduction, low environmental impact, as well as competitive advantage. Furthermore, a customer who selects one of our remanufactured compressors can rest assured knowing that our products comply with the latest industry standards and regulations. With a remanufactured compressor, you will not only enjoy reliable, long-term operation but also benefit from like-new performance and a lower cost of ownership. Frascold compressors are built on more than 80 years of engineering excellence. At Compressors Unlimited, our customer service is built on more than 30 years of unparalleled care and support. Because compressors are essential parts of day-to-day business operations, we provide our customers with reliable, high-performance compressors and excellent customer service under the same roof. Our knowledgeable compressor experts specialize in finding the right compressor for any air conditioning or refrigeration system. 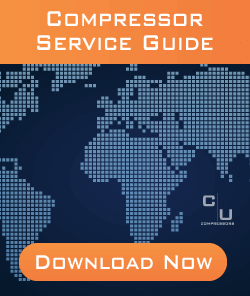 Because they have been doing this for a long time, you can count on Compressors Unlimited when it comes to finding a compressor that you can rely on. Please feel free to call us today at 972-286-2264 for more information!